Do you have a old sweater that you no longer wear or it no longer fits? Don’t just toss it out! 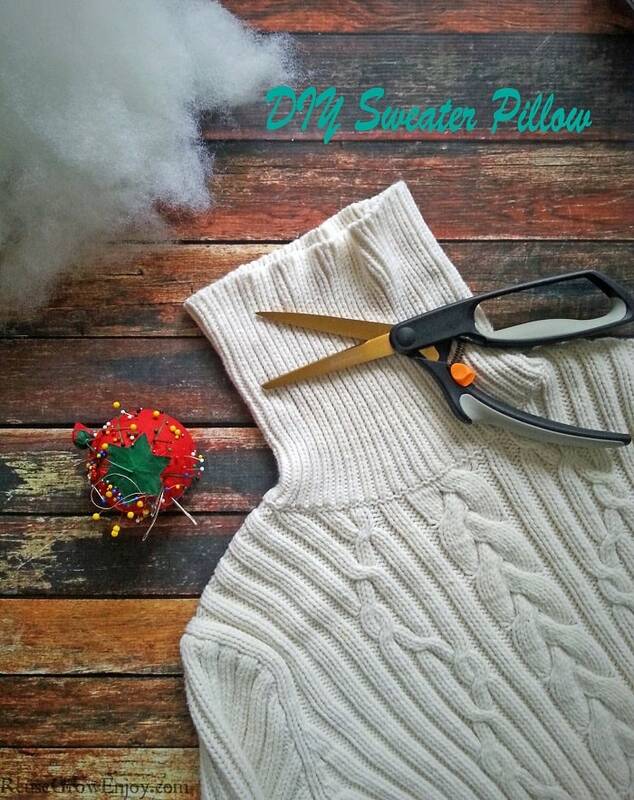 You can reuse it to make a sweater pillow! They turn out super cute and are easy to make! Plus, you can always use another pillow around the house to toss on the couch, chair or even on the bed. You can make these out of any size sweater baby, kids or adult. 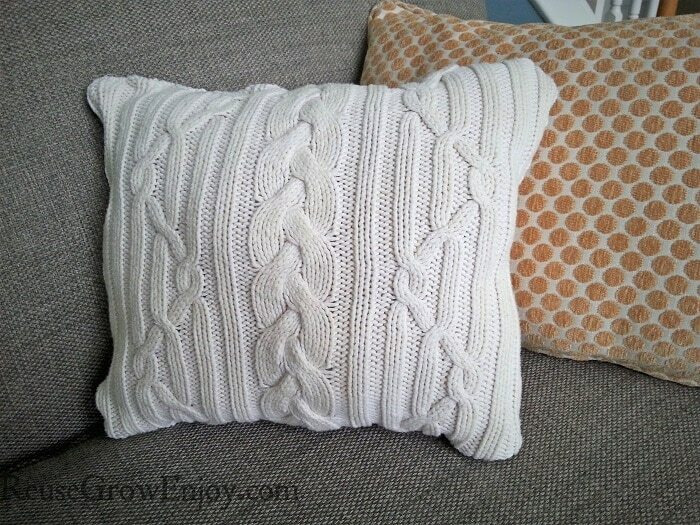 You could even do a few in different sizes so that you can ave different size pillows. While you can make a sweater pillow from any sweater, I have found that the look of one turns out better if you use a more textured sweater. So ribbed and cable knit work really well. One other way to reuse with this craft is on the pillow filling/stuffing. If you do not want to buy filling, simply use some from an old toy or pillow that is no longer used or played with. Note: If you do not have a sewing machine or don’t sew, you can also use no sew tape and a iron. Take your piece of paper and cut out the size of the pillow you want (be sure to add an extra inch to each side to account for your seam). 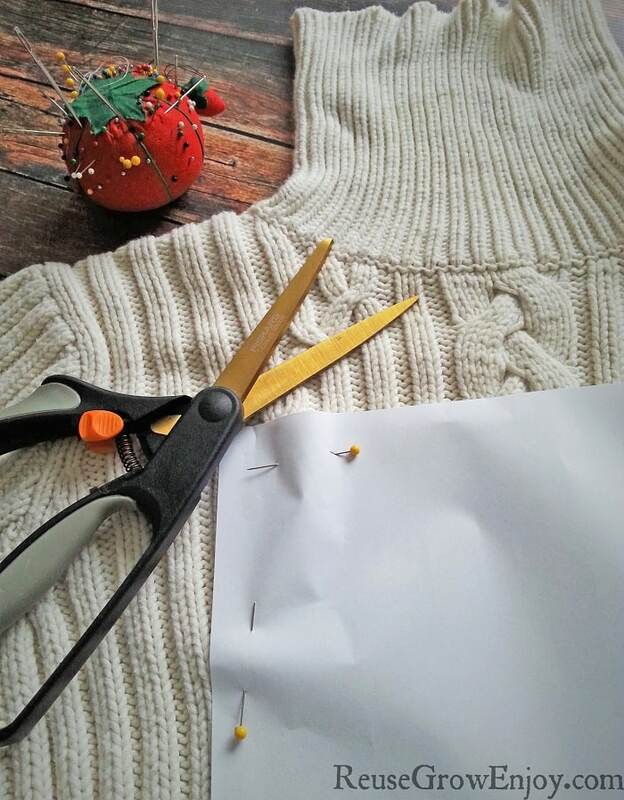 Take your pieces of cut out sweater and turn them so the right sides of the sweater (the sides that will be shown in the end) are facing each other. Pin along the edges and sew with a zigzag stitch at a 1/2 inch seam making sure you leave about 4 inches open. 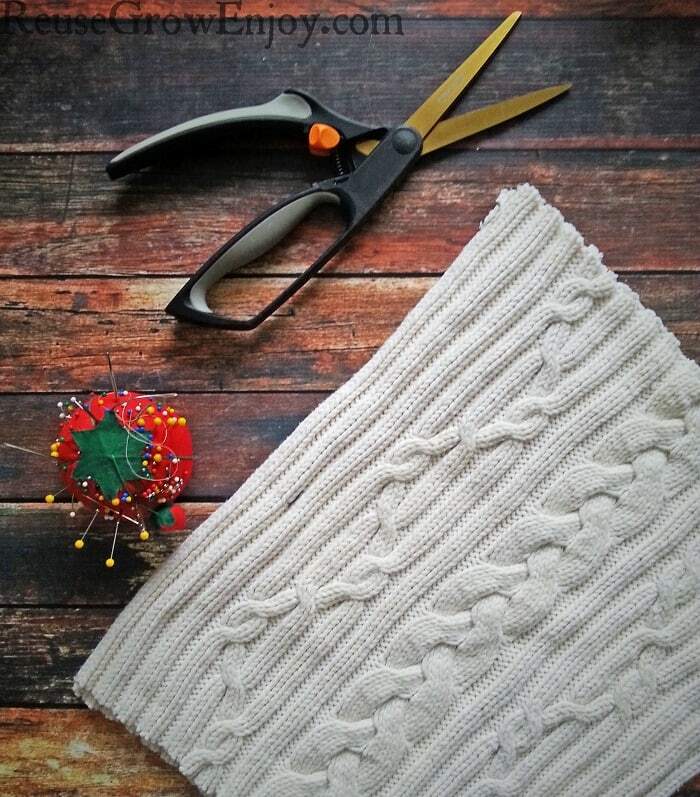 Once you’ve sewn and have the 4 inches left open, turn the sweater right side out. Stuff your pillow with your filling. Turn your 4 inches of raw edges inwards, pin and sew shut. Voila, you now have a sweater pillow! If you like crafts that reuse use things like this one, you may want to check out my Repurposed Utensil Jewelry Tree!